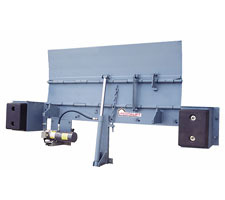 Like their mechanical counterparts, hydraulic edge-of-dock dock levelers attach to the face of a dock and eliminate the need to cut a custom pit. 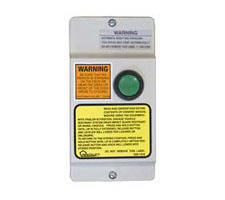 Unlike the mechanical models however, these units are fully powered and operate with the simple push of a button. The hydraulic power unit on these levelers incorporates an internal filtration system and a totally enclosed non-ventilated motor, making these simple and reliable even in the harshest conditions. 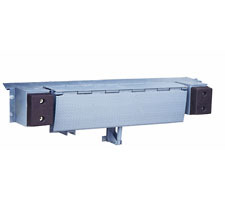 These levelers have a hydraulic cylinder that incorporates a hard chrome cylinder shaft, a high pressure cylinder tube and urethane hydraulic seals. The location of the upper cylinder port automatically ejects any air build up from the hydraulic system. 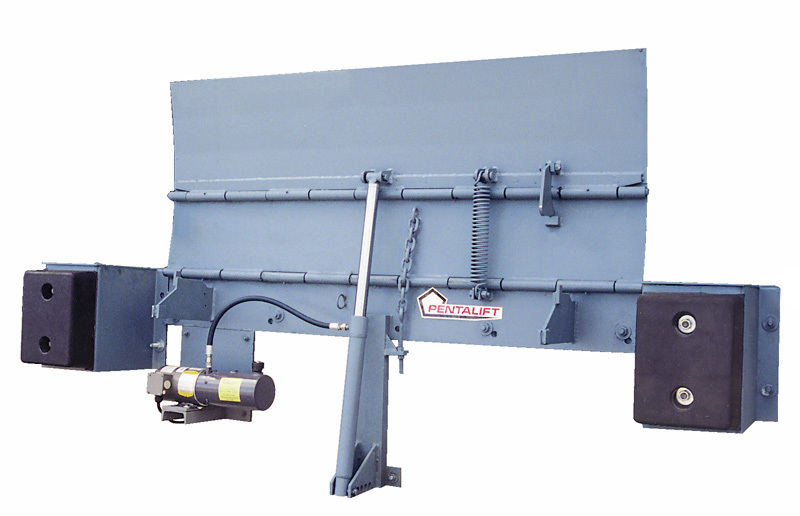 These mechanical edge-of-dock levelers are lifted and lowered smoothly and easily with the simple push of a button (control panel included.) Grease fittings along the length of the lip hinge allow for easy maintenance. A truly economic way to handle dock operations. 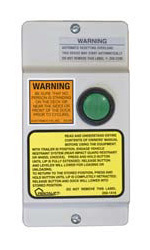 These hydraulic units are perfect for many businesses.